What can you expect from a magician? Your first thought should be – magic! Of course, you also want a magician who can cater his or her routine to fit your venue, your audience, and have the ability (and experience) to perform various types of magic in different settings. Think about it. When was the last time you really had fun at a trade show or corporate event, be it a seminar, a training cluster, or an award banquet or annual get-together? If you’ve been to one, you’ve been to all – except when you have lively and unique entertainment on tap. What do magicians do at corporate events? A magician not only entertains your corporate guests or visitors at your trade show, but when discussed in advance, can also deliver specific messages about your product or service to the audience. It’s a prime opportunity to showcase your company or business venture and network in a way that your peers won’t soon forget. When you hire a magician for your event, you give your guests something memorable. Magic is fun and keeps the audience alert and engaged. Magicians perform not only in front of an audience, but with them. Magic can be catered to be as interactive as you want; strolling magicians working their way through a crowd, picking out a guest or two to amaze, or a chance to encourage social interaction between guests and attendees. 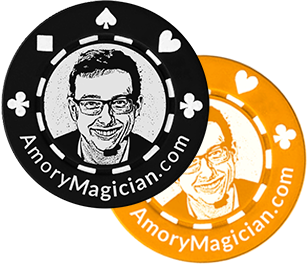 A magician who works corporate events is able to customize his or her routine to mesh with your company’s image or message. Encourage visitors to your booth or event by creating a three-dimensional environment for them. Go beyond brochures and flat presentations. Promote your business or company and deliver laughter and amazement all at the same time. How many times have you sat through hour after hour of a training seminar or sales meeting without a break and heading toward information overload? What about those conferences and awards banquets? Some food, some music, that’s about it. However, when you hire a magician for your next corporate event, you’ll capture the attention and delight of your guests. You’ll create a buzz that won’t soon be forgotten. Hiring a magician for your event shows that you care about your guests, your employees, or your attendees. 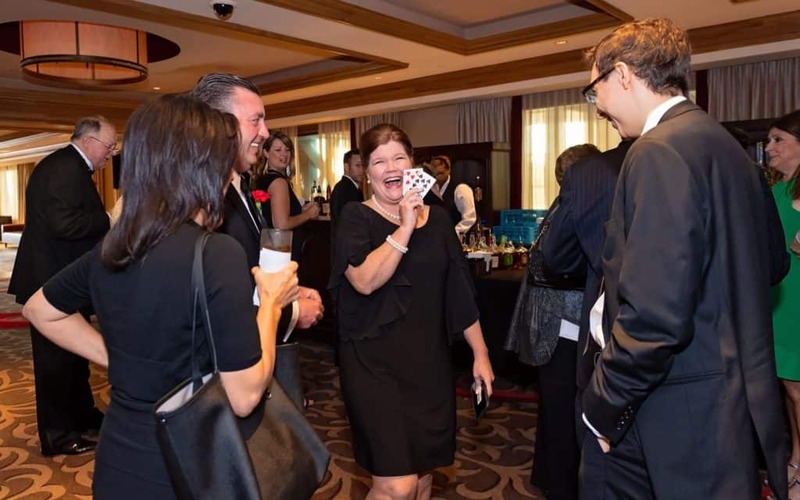 The awesome tricks, the high energy, and the fun that a magician brings to any venue will put your event on the most talked-about corporate calendar of gatherings experienced by your employees or guests for years to come. When it comes to gaining – and keeping – the crowd’s attention, a magician does the trick. No pun intended – whether you’re hosting a corporate party, a training seminar, or a product launch, your event needs to be memorable. Hiring an experienced corporate magician will guarantee wonder and laughs and, best of all, draw a crowd.